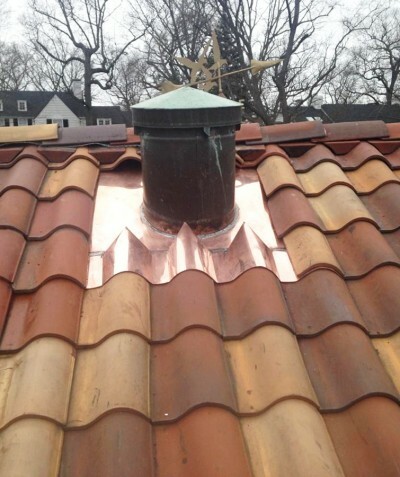 Fabricating and installing copper flashings, gutters, and standing seam roofs since 1921. EVERY new roof installations come with written guarantees 10 to 50 Years. No job is too big or too small for the specialists at J. Salvatore & Sons, Inc.
At J. Salvatore & Sons, Inc., we know that you have a choice in choosing a contractor and we'd like that choice to be us. Choose us for our excellent workmanship, unparalleled work ethic, affordable prices, and expertise. J. Salvatore & Sons Roofing, a family business, successfully serving its respected customers since 1921 in New York and the Tri-state area. We know how important is to maintain and repair your family home, commercial building, warehouse or office. As one of the oldest roofing contractor companies among Bronx Roofing Contractors, Manhattan Roofing Contractors, Queens Roofing Contractors, expert NY Roofers, dependable New York Roofing Company, whom serving New York City and NY State, we are licensed, bonded and fully insured. We provide written guarantees, free estimate, inspection and assistance with your roofing project(s). We specialized in Slate, Tile, Wood, Metal & Cooper roofing. 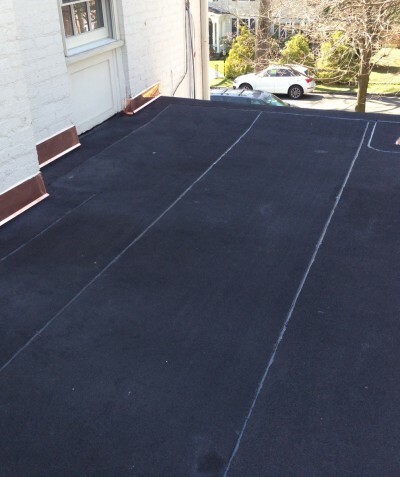 In our nearly a century present in the commercial and residential roofing business, we have gained enormous experience in all major roofing problems and issues that makes us the best choice within the Bronx Roofers, and NY Roofing contractors. 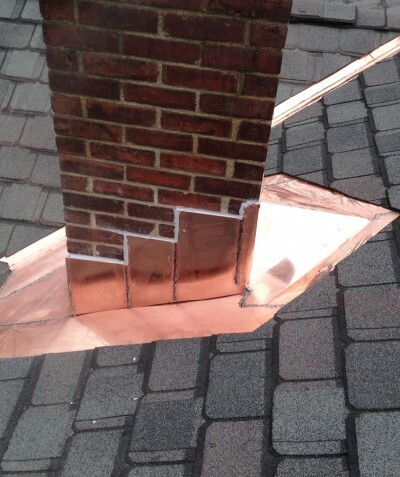 Our roofing experts can help you with roof repairs, leak detection, flashing & copper work. No job is too big or too small for the specialists at J. Salvatore & Sons, Inc. We specialize in all kinds of carpentry, from chimneys to replacement windows, renovation, kitchen and bathroom remodeling, flashings, deck/patio building - and all at very reasonable rates. And if you're ready for the many benefits of professionally installed siding - we can help with that too! Please check out a video about J. Salvatore & Sons Roofing and learn more about the company, through the words of its president. 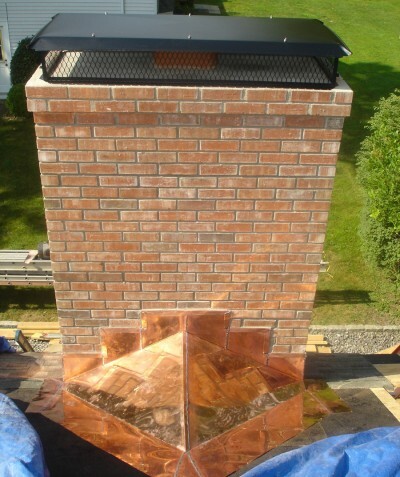 From the initial consult to the final stages, J. Salvatore did a great job ensuring that communication was clear and frequent for any of my roofing and chimney questions. I specifically appreciated the e-mail responses, as I prefer it to the phone for contract work, questions, etc. Often, I received responses within a few minutes or within an hour of sending an e-mail on my phone. The work was done when the company said that their crew would arrive and both the chimney and the roof work was completed as they stated. It's a great thing to be able to rely on someone's word in addition to the signed contract and they kept to both. They also blew out the gutters and took down an old antenna gratis, and they ensured that the job was done to the most recent code specifications, including a ridge line for venting. The workers were helpful and courteous and communication with the office staff was better than any other contractor we have used, and we've used and/or contacted a lot of contractors. They were also very flexible about a payment plan. We would definitely use them again for other home repairs! It has been a long process, but we are glad that we chose you to complete the work on our house. We now have peace of mind that our house will not leak, and the interior is looking great as well. Thank you for a job well done. We enjoyed efficient exchanges of opinions with you. We also liked your workers; they do good work and are very pleasant. We are very, very pleased with the stone walkway and railing that you installed. Thank you so much for the wonderful job! Nick, everything was done to perfection. I am so very happy happy that I chose J. Salvatore & Sons Roofing instead of the numerous ones listed in the phone book! Congratulation on having such great workers, too! I’ve told many people about your great company in the event they’d need help with their roofing needs in the future! For some time I have been looking for a reliable construction company in the Greenwich CT, Westchester NY area to have work done on my house. I chose J. Salvatore and Sons INC., based upon their expertise in roofing and their longevity in the business. Their honesty, coupled with their quality workmanship, proved that I made the best choice. Not only did they repair my roof and install new shingles, they cleared away the refuse the job caused. They kept to their quoted estimate even when encountering obstacles.I will definitely hire J. Salavatore and Sons Inc. for all my home improvement needs in the future. We can always count on and Salvatore and Son’s to take care of our roofing/masonry needs. We used them for over 10 years now. We have enjoyed the professional and personal service. It is no wonder why the company has been in business since 1921. We would not dream of calling anyone else. I recommend them all the time! Thank you very much for your professional service, from the first phone call I was impressed. I had tried unsuccessfully to find a roofer to correct the water leakage of our pool house slate roof. Most companies I called either didn’t call me back, or scheduled an appointment and didn’t show up, or never followed through with an estimate.Well, I called your company and received a call back the same day, the next day Nick came out determined the problem and faxed me an estimate the following day. You were able to schedule the work for a couple of weeks later and here I am with a fixed roof and couldn’t be happier. Please know that if I have future roofing needs your company will be the first that I call.Thank you!. We cannot speak highly enough to the professionalism, responsiveness and dignity with which Joe and his teamrun their business. Joe has positioned himself as a stakeholder in the upkeep and improvement of our entire property. And he is a trusted partner in making the best long andshort term decisions. I welcome anyone to contact us directly should they need any further inducement to use their services. You won’t regret it! I wish to express my gratitude in the quick and professional manner your company handled my roof renovation. My home renovation project began on a bad note, but your company put a totally different spin so much so that my neighbors have complimented on your great work. Your guys did a great job with the clean up with minimal disturbance to my neighbors. Thanks for a job well done. Thank you very much for the job well done! The project was completed quickly, and neatly. The employees were always polite and kept the area clean at all times. Thank You! Thank you and your roofing professionals for the fine job! And for the timeliness even with the hurricane’s aftermath! Best Wishes!